Star chain giving 21st C time setting. Religious events and 22ndC war. Reality check on my methods. Modern genetics as major theme. Malthusian crises facing our times. Gold and 21st C disasters. 200m floods begin in 21st C.
Religious war in the 22nd C.
The wars of the three brothers. The family of the Jesus clone. The role of the older clone. The messianic clone creates new faith. Oldest son’s role in messianic wars. Eastern antichrist destroys new faith. Budapest’s central role in new faith wars. 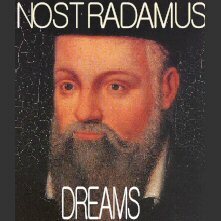 "The theme big enough to motivate Nostradamus to write his Prophecies"